Expanding upon Nick Gravelyn's Exception handling code, this sample demonstrates implementing exception handling and reporting for your XBLIG. 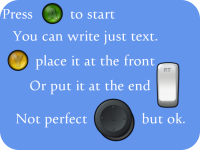 A simple but effective Input wrapper for your XNA games. This sample demonstrates one method of wrapping input in a easy manner. Use the wrapper as is or enhance it for your own needs! 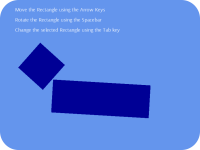 This sample demonstrates using the Separating Axis Theorem to detect collisions between rotated rectangles. The code has been well commented and great care was taken to make the code clear and reusable. This tutorial walks you through three different solutions for managing screen state in your game. From the basic of the basic to a final intermediate level sample. 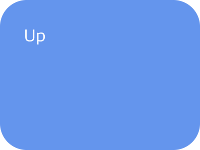 You're sure to pick up other neat litlee XNA game development tips along the way as well. This tutorial is a doozy! A sample to help add a little polish to your XBLCG. This sample provides an easy way to define the control scehme for your game and display that to the player. 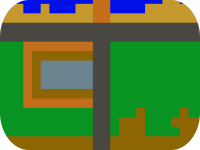 This sample code demonstrates a method to create and load tiled images into your game using only XML files. This sample code shows how to easily draw buttons within text without all the manual positioning you typically need to do. 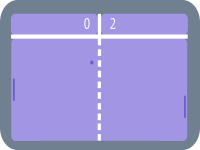 This game demo is a sample showing how to make a simple Pong clone. Pong being one of the recommended first games to make as you are learning game development. This tutorial walks through step by step using a color key to do path collision. 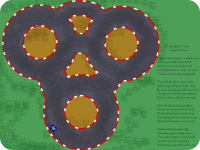 The example used is for a super sprint style track, but the code could be used for a variety of projects. By the end of the tutorial, the reader should be familiar with moving and rotating a sprite, using GetData() to get pixel information and have an introductory understanding of RenderTarget2D objects and how they can be used. 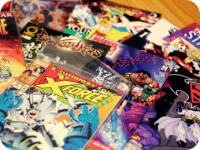 Before you can start displaying your graphics and images on the screen, you first need to add them to the game projec and make them available through the Content Pipeline. This XNA tutorial walks you through the steps required to add an image or images to your game. Getting a new game going with XNA starts with creating a new game project. 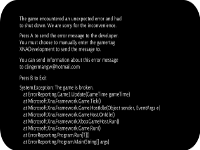 This XNA tutorial walks you through setting up a new XNA Windows game project and seeing that first Cornflower Blue screen. This is the images and source code for the article I wrote for the Sept/Oct 2007 issue of CoDe magazine. If you're following the code along in the book, the images and source code provided here should help you finish the project out. This is a game demo with full source that showcases a 2D motion blur technique. In this game, you play as the Cop and must catch all the Robbers before times runs out. The game is a good example of exploring some different game architecture techniques. It also gives examples of rotating images, playing sounds, accepting both keyboard and gamepad input and some 2D animation. It also has one snazzy title screen! A little game I developed over the weekend to help demonstrate some simple 2D game development concepts like character animation, jumping in an arc, background music, triggering soundfx, game state and creating title and instruction screens. More importantly, I created the game to help raise awareness for Scott Hanselman's fund raising to help fight diabetes. So take a look a the game and take some time to make a donation for the fight! 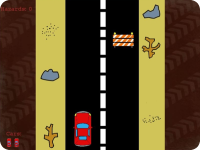 A sample game I used to present 2D game development at the Portland Code Camp 3.0. 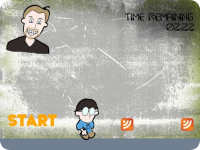 This game introduces basic 2D game development concepts like keyboard input, using game time, loading textures, moving sprites on the screen and scrolling a background vertically as well as simple game state and object re-use. 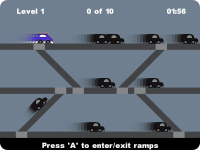 A sample game developed to show the basics of making one of the recommended "starter" games. 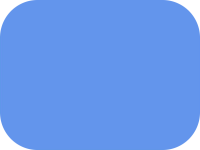 This sample covers gamepad input, simple gamestate management and sprite movement and collision. 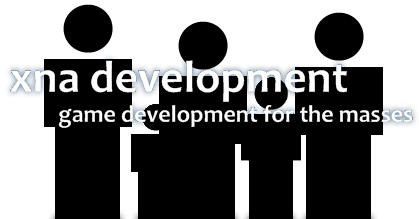 The source doe is available to give new game developers some more entry level games to look over as they continue to learn the ins and outs of game development with XNA Game Studio.